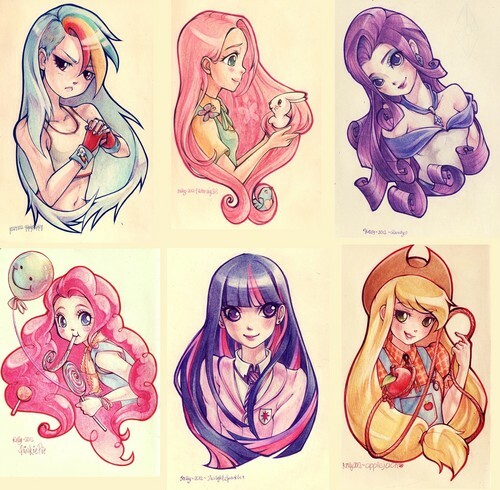 The girls as humans. arco iris Dash, Fluttershy, Rarity, Pinkie Pie, Twilight Sparkle and aguardiente de manzana, applejack as humans in anime.. HD Wallpaper and background images in the My Little Pony - La Magia de la Amistad club tagged: my little pony friendship is magic my little pony humans anime. arco iris Dash, Fluttershy, Rarity, Pinkie Pie, Twilight Sparkle and aguardiente de manzana, applejack as humans in anime.